A 1/3 mile connecting trail beween the middle Arroyo Trail and the Buff Trail. 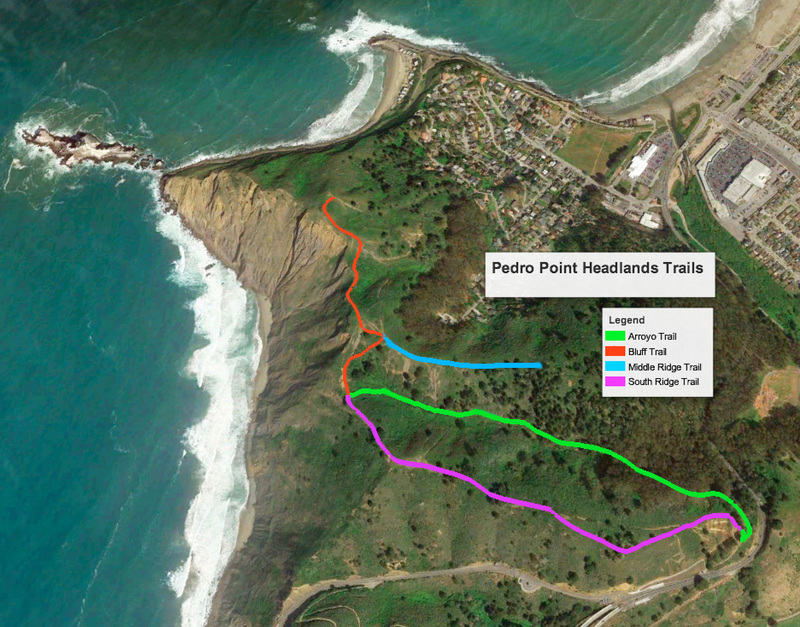 This trail runs along the ridge with nice views over Linda Mar Beach and the city of Pacifica to the north. On a clear day, you’ll have views to San Francisco, the Golden Gate Bridge, Mount Tamalpais, and as far as Point Reyes. At its west end, the trail connects with the Bluff Trail; on the east end, it makes a dogleg and heads downhill to join the Arroyo Trail. 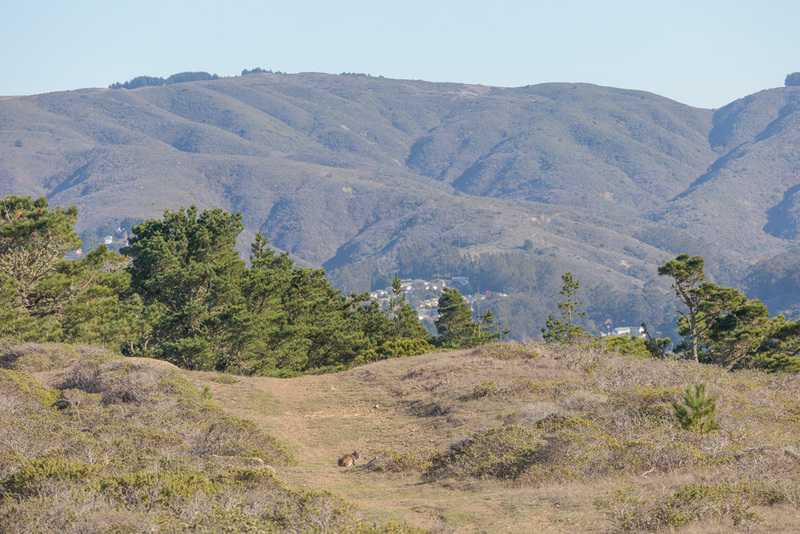 The trail is bordered by thick, continuous stands of coastal scrub and occasional stands of Monterey pine. Both madrone and toyon join the usual array of coastal scrub shrubs and herbs in this area. 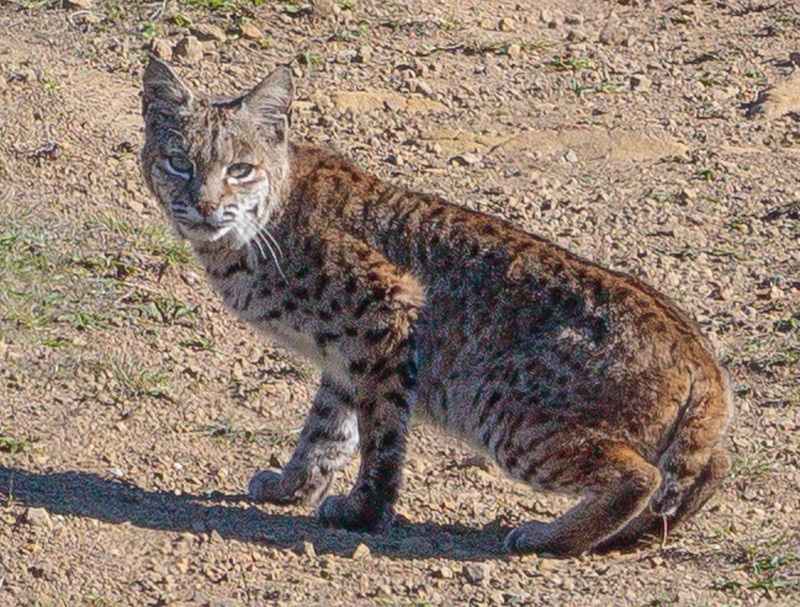 Bobcat (Lynx rufus), photo by Stephen Johnson.